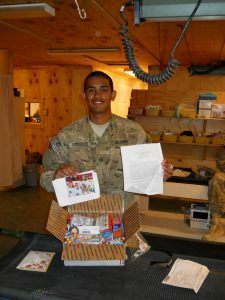 We want to make it easy for you to make a donation to help the kids support our soldiers. Now you can make a donation using PayPal by clicking the button below. You do not need to have a PayPal account to make a donation. Kids In Support of Soldiers, Inc.
Don’t want to donate money? If you want to support our cause, but are unable or uncomfortable with a cash donation, no need to worry. You can always donate supplies, or donate your time as a volunteer.